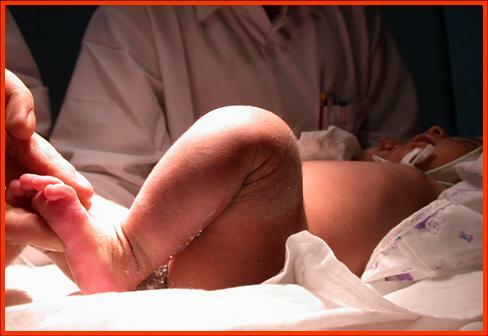 Three-month-old child with CDK. Note the knee in hyper-extension. Flexion was not possible due to short quadriceps. 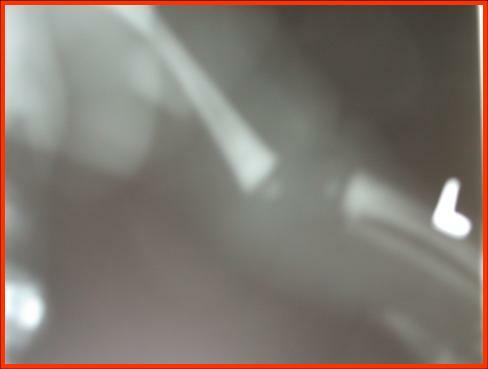 Radiographs of CDK showing the knee joint and the tibia axis lying anterior to the femur in the lateral view. 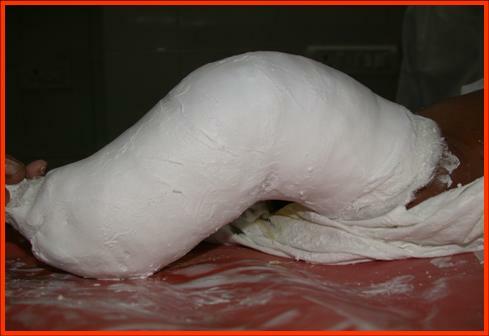 Serial casting under sedation achieved more than 90 degrees of knee flexion. Full knee flexion after cast removal.